I was worried about the color--I wanted something with purple accents--very hard to find. The sales rep was wonderful--did some extra checking for me and advised me that the color had a lot of burgundy in it. Truly it is a kind of burgundy/purple but I love the color and am very pleased with purchase. My advice is to order a sample rug in a small size to determine if you will be happy with the color--then order the full size. It really "makes" the dining room and everyone loves it!! After hunting the web for just the right rug, I found this rug. The colors are amazing. 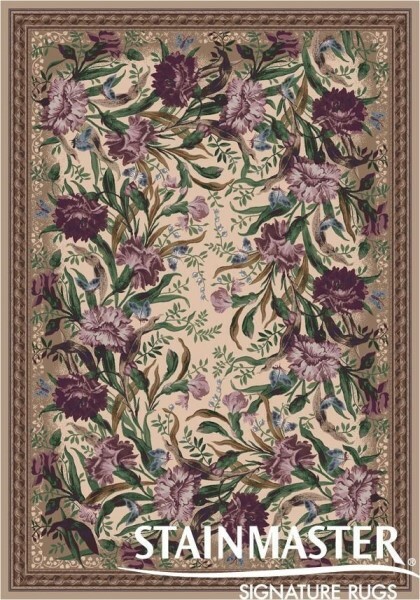 Purchased the rug in the Heathered Rose print. 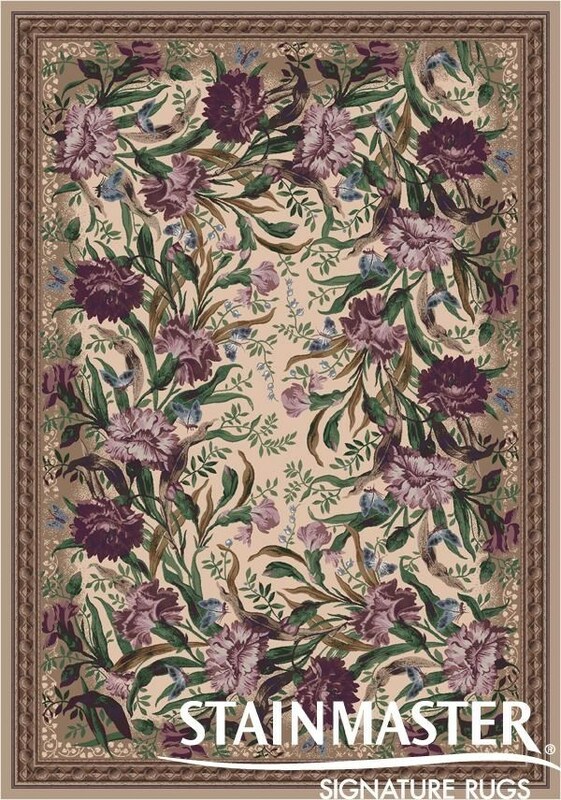 It was so hard to find a rug with purples and a floral print. This rug has a very soft texture, yet low pile. Very easy to clean. Customer service is excellent and I received my rug sooner than expected, which was such a bonus. I have had the rug for a month and it is just perfect! I purchased this rug for under my dining room table. It is perfect in size and color, and very beautiful. I'd been searching a long time for just the right rug when I stumbled upon this website. Everything was done professionally, customer service was excellent. The rug arrived quickly and was exactly as promised. I couldn't be happier. I can't wait to shop for more.